My friend Jeff Cable was one of the early adopters of the Nest thermostat. 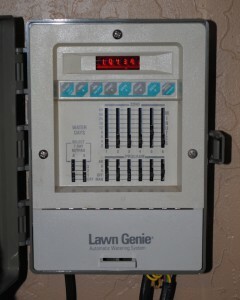 At the time we talked a lot about the obvious next step of supporting home sprinkler/irrigation controls. Especially here in California (where we are in a pretty serious drought), having better control over irrigation (not to mention the remote access) seems like the logical next step. 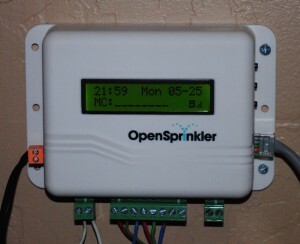 Rather than waiting around for Nest, I just bought and installed an OpenSprinkler. OpenSprinkler started out as a hobby kit for makers and they still sell it a variety of ways, from kits to completed units. The software is open source as well. There is also the possibility that if OpenSprinkler can get certified by the EPA WaterSense program, that rebates from water agencies could be possible (similar to low-flow toilets, energy-saving water heaters, etc.). 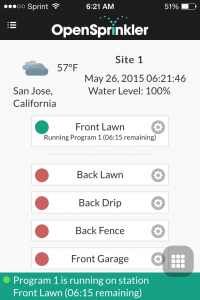 Getting certified is still on the to-do list according to this OpenSprinkler update from Feb 2015. The more interesting part is the software which is easy to set up from a web browser. 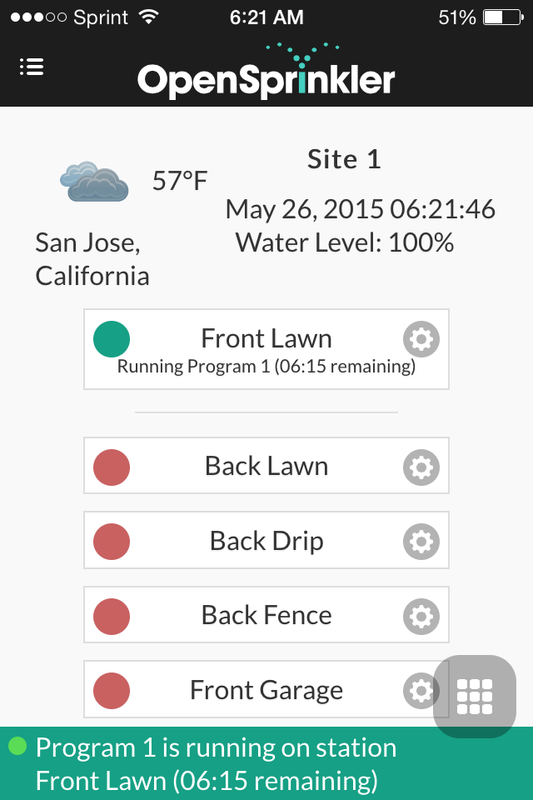 You can give your zones nice names like “front lawn” or “back roses” so you don’t have to remember zone numbers. Programming the schedule is pretty straightforward as well. If you attach a rain sensor, the OpenSprinkler can also operate in a smart weather mode where it decreases the amount of watering based on local rain or weather forecasts from Weather Underground. What if the world’s largest online media corporation opened its doors to “hackers” allowed them access to some of its most important features to see what they could create? 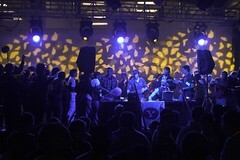 That’s what happened in September 2008, when over 300 developers descended on Yahoo!’s campus for an event that is every coder’s dream. This first Yahoo! short film documentary will present the intense, fun and real-life Hack culture as illustrated by the Open Hack Day attendees. The short will show the lives of the participating hackers as they hack and compete in the ultimate in developer/coder showdown, discovering not only their obsessive “hack” habits and personalities, but also share what the developer community is all about. Girl Talk performed to an eager crowd at this year’s open hackday: Open Hack 2008. (Look for tag openhack08). Speaking of hacking, check out Any Baio’s analysis of Girl Talk’s latest album: Girl Turk: Mechanical Turk Meets Girl Talk’s “Feed the Animals”. He uses Amazon’s Mechanical Turk in an interesting way to analyze the track contents. Summer TV must be slow, but I’m finding Wrecked to be strangely addictive.